2017. 65" x 65". Neuron data from Eyewire, digital collage. Printed on aluminum. 5 editions. For Pollock, named for abstract expressionist Jackson Pollock, explores overlaid neurons as abstract color forms. 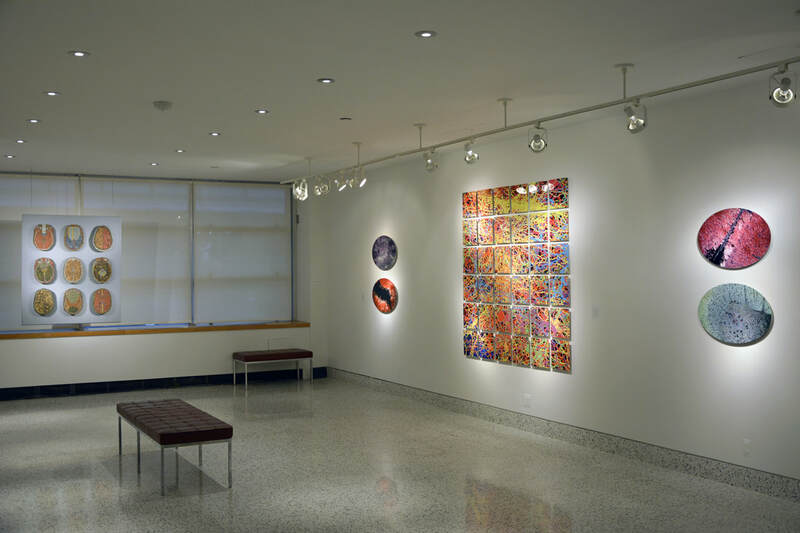 Courtesy of New York University's Langone Gallery.